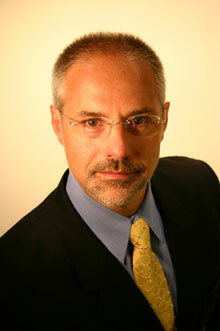 Here are the views of Autodesk's Terry Bennett on public-private partnership trends in 2013. The 2013 Keating Report on government budgets and spending, which will appear in the Jan., 2013 Government Product News and at Govpro.com, has a section on public-private partnerships (PPP). While researching that section, we got the views of Terry Bennett, senior industry manager at San Rafael, Calif.-based Autodesk. Autodesk offers cloud-based 3D design, engineering and entertainment software. Its customers are in the manufacturing, architecture, building, construction, media and entertainment industries, as well as government. Here are the views of Terry Bennett on public-private partnership trends in 2013. Govpro: Are more governments looking at public-private partnerships as budgets shrink? Terry Bennett: Yes, absolutely this is happening, and not just in the U.S., but all over the world in both developed and developing countries, and this trend will accelerate. 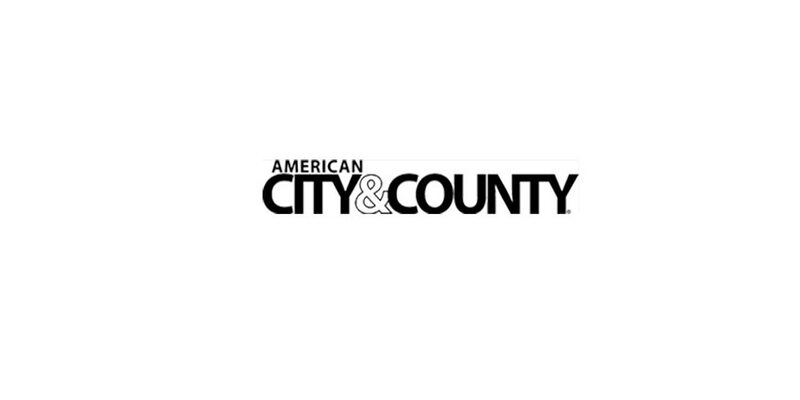 In fact, state governments—caught in the squeeze between federal funding cuts and local government demands — are starting to pit cities, counties, regions and even countries against each other in competitive funding programs. We need to keep in mind that private investment dollars are highly portable, and even though the funding source may be in a particular state or country, that doesn’t mean those investment dollars will stay local to the source. The competition for these dollars is global, so gaining access to them will be fundamentally different than PPPs a decade ago, when most dollars were locally sourced. That is no longer the case. In using PPPs, project risks, rewards and resources involved are shared — providing greater efficiency, better and quicker access to upfront capital and improved compliance with stringent governmental oversight, which enables more expedited project delivery. When planned and executed correctly, PPPs can provide a number of important benefits, including: shared risk, gains in efficiency and quality and better environmental stewardship. Going forward, however, a particular jurisdiction’s ability to leverage innovative technology, solutions and approaches to set itself apart will determine who ultimately gains access to those private funding sources. Govpro: Can you share any PPP trends for 2013? TB: I see three big trends for 2013 as it relates to PPPs, and the infrastructure industry segment. First, holistic business case development. The gap between infrastructure investment demand and supply of funding is going to grow even more rapidly, thus intensifying the competition for capital resulting in a shift of funding away from a first-come-first-serve basis towards those projects backed by the best business case. As stated above, demand for those private investment dollars is global, and I foresee funding priority being assigned to projects that offer the greatest “holistic return.” That holistic return accounts for not only the financial, social, and environmental aspects of a design approach, but given recent impacts of natural disasters, the resiliency of that infrastructure as well. The calculations will also determine whether design approaches are viable and equitable, as well. Second, rethinking the infrastructure problem and approach. Infrastructure is a system of systems, interconnected, interrelated and interdependent. A future infrastructure’s capacity and resiliency to environment and its people relies on the decisions we make today. Even with successes to-date, the demand is still far outpacing the supply of investment dollars. I foresee a change in thinking and approach where we are not trying to simply recreate what exists, but instead focus the design for what is needed for the next 35 to 50 or 70 years, and what our urban environments will look like then, not now. We will take a full lifecycle approach and visualize and simulate future conditions and not base approaches on only today’s view of the environment. And last, increasing use of more modern planning, design and delivery tools. There is still a growing interest in more private sector involvement; this would help to prioritize infrastructure needs and get projects built faster, more effectively and more efficiently. We have modern tools and processes, but more modern thinking is required in the planning, design and construction phases. The coupling of private infrastructure investments with a strategic and innovative use of 3D technology will not only provide infrastructure owners and investors with a better understanding of the scope and complexity of the investment, but can also help them to route efficiency gains made from this change toward financing future projects. Using model-based processes like Building Information Modeling (BIM) enables a planner to take a more holistic approach by assessing how long a project will take to complete, as well as the cost. The tool also looks at the sustainability of particular project, ensuring planners have a clear understanding of a particular design approach, and how that impacts the city as a whole. This process will aid in attracting the investment dollars. Govpro: Are there any kinds of partnerships that will expand more in 2013 than the overall partnership market? TB: There will always be evolving financial vehicles and associated integrated delivery models and partnerships as we learn more, leverage best practices and improve the overall process. But one vector in terms of partnerships that I think bears watching falls outside what many would think as the norm here. That is the generational partnership and the role that mobile, social and web will play in all PPPs and other approaches going forward. We know that the need for sustainable infrastructure has become a matter of urgency, crucial to economic growth and quality of life in every country around the world. But we also know that it is a long-term asset spanning decades and even close to a century when many of us who will help fund, design and deliver it won’t be here to use it. I believe that the partnership between those who will build it and those that will use it will expand the most in 2013. Social media can play a big role in driving new infrastructure, and this next generation will and should have the ability to shape what their city is going to look like, rather than merely inhabit it as we envision it. We need to bring their vision together with our application of funding and delivery. Cities are now starting to think in these terms, turning a redevelopment project into an online video game to give community members a say in how their neighborhood will look. Another example is crowd-sourcing urban planning so that residents can voice how they want community resources to be used going forward. This approach will not only attract the best and the brightest to the problem, but also provide the most compelling business case for those hard-sought-after dollars of private investment. Thank you, Terry Bennett, for the information. The 2013 Keating Report on government budgets and spending will be in the January 2013 Government Product News, and will be posted soon at Govpro.com. Go here to view the mid-year 2012 Keating Report and here to view the 2012 Keating Report. Here is a video that describes Autodesk BIM 360.